Pharrell Williams is an American rapper, singer, songwriter, record producer, and film producer. He also owns a media venture that encompasses entertainment, music, fashion, and art. As of 2019, Pharrell Williams’ net worth is estimated to be $150 million, which makes him one of the richest rappers in the world. Let’s find out how he managed to make all this money! Pharrell Williams was born in Virginia Beach on the 5th April, 1973. He is the eldest of three sons of Pharaoh and Carolyn Williams. His roots extend for generations in Virginia and North Carolina, and one of his ancestors journeyed to West Africa in 1831. Pharrell met Chad Hugo in a 7th grade summer band camp, where he played the keyboards and drums and Hugo played tenor saxophone. They were also both members of a marching band. In the early 1990s, Chad and Pharrell formed an R&B group, the Neptunes, with friends Shay Haley and Mike Etheridge. Later, the group entered a high school talent show, and were discovered by Teddy Riley, whose studio was located next to Princess Anne High School. After graduating from high school, the group signed with Riley. From 1992 onwards, The Neptunes gradually built a fan base, and became very popular. Pharrell start working more on his solo career in 2005, and released his solo debut album, ‘In My Mind’. Since releasing the album, Pharrell has gained an incredible amount of popularity and released best selling singles such as ‘Happy’, which is the ‘Despicable Me 2’ theme song. He is now one of the richest rappers in the world, has worked with a wide number of best selling artists, and has a net worth of $150 million. We are all unique and we all have a different way of thinking. If you use your creativity when it comes to your career, you are bound to come up with new and different concepts, that have not yet been put together. Sometimes, they may be really bad ideas; but sometimes they might just be genius. If you’re curious, you will keep chasing it. 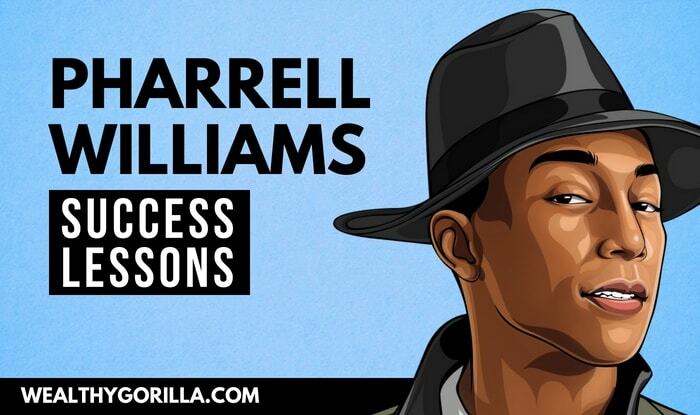 Pharrell says feed your curiosity, because that’s likely where your passion lies. If you are curious about something, you’re naturally drawn to it; and until you find out more about it, you will remain curious. Pharrell references to the highways as a metaphor here, and explains how many different routes there are. It’s better to try and take a different route, than to be completely stuck on the highway you’re currently on. The same applies to life, to your career and your success. Pharrell Williams’ net worth as of 2019 is $150 million, making him one of the richest rappers in the world. We can all learn from Pharrell’s success, and many of us have been inspired or even had our moods boosted by his music. 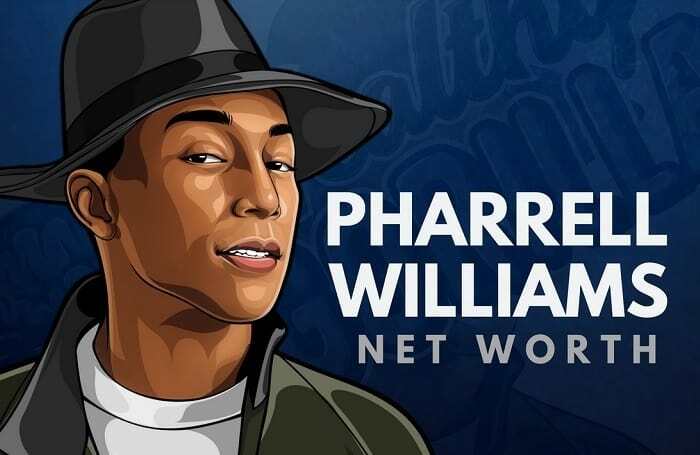 What do you think about Pharrell Williams’ net worth? Leave a comment below.